The ultimate goal of the Have a Heart Adopt a Pet Foundation Inc. is to save the lives of formerly lost, homeless, abandoned and/or abused sheltered pets that are needlessly euthanized. With your support, Have a Heart unites sheltered pets with forever families, acts as a liaison between local shelters and rescue groups to save the lives of helpless animals and provides emergency medical services for animals in need. Many people do not understand that local animal shelters are viable alternatives to pet stores and private breeders, and for this reason it is necessary to bring the existence of such institutions into the public view. We want to educate the public on pet adoption, the need for spaying/neutering, shelter awareness, the humane treatment of all animals, domestic or wild, and finally to teach how rare, precious and fragile life truly is. 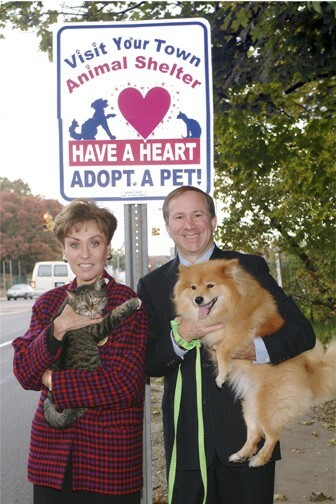 We focus on educating, encouraging and supporting the adoption of sheltered pets through public-private partnership. This unique alliance of local government, community residents, schools and concerned businesses seeks to abolish the use of animal sheltering as the last stop for so many precious lives. We are currently operating our programs in NYC and Long Island, NY, however our programs are replicable and can therefore, be used to produce systematic change nationwide. 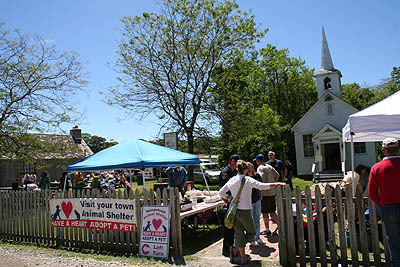 Paws in the Park - A free adoption event. Numerous Long Island residents have beloved pets for adoption and are attempting to find them new homes themselves rather than surrendering them to their town animal shelter. The prospect of a dog or cat being adopted from a municipal animal shelter is uncertain and at times depends only on luck. Our adoption events provide a unique opportunity to concerned residents and local rescue groups to find these pets in need a forever home. Street Sign Project - Our signs alert the public to the locations of nearby municipal shelters. Due to the steady stream of animals being bred for sale and brought into our local communities from out-of-state, it is important to highlight that many of these pets are cast off and taken in by our shelters. We strive to bring awareness to the existence of local shelters and present them as a viable alternative to pet stores and private breeders. Have a Heart relies on the generous support of its volunteers, shelter management and staff, rescue groups, community organizers and local politicians to attain our goals. But nothing can be accomplished without the funding we receive from people like YOU, who care about the plight of sheltered pets. If you would like to donate to our foundation, please click here.